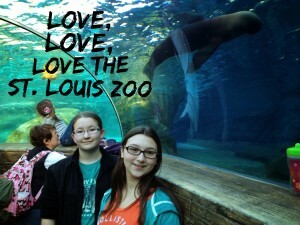 The Saint Louis Zoo. Just the words pique my interest! I can remember hearing incredible things about it for quite a while before I went and when I finally got there, I wondered what had taken me so long! It is a mainstay in my list of things guests need to see. 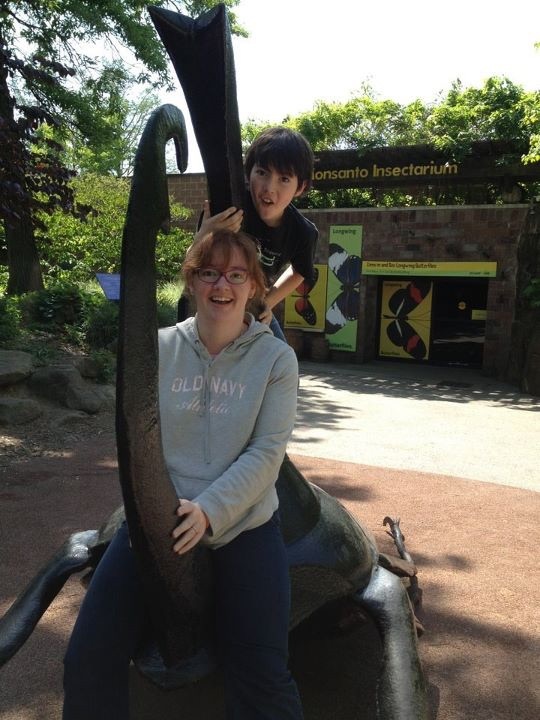 In fact, not only have I taken little kids to the zoo but we have had several grown-up only visits too! There was no way I could feature anything else in my St. Louis A to Z. Some of the reasons the zoo is so high on my list? ALWAYS IMPROVING — It would be easy for something that got its start with the 1904 World’s Fair and that has been lauded for it’s work ever since to take it easy but they don’t. In fact, since I got to St. Louis, they have built a new aquatic exhibit for the seals that really captures your eye! My niece & her girlfriend loved it as you can see. SO DIVERSE & YET MANAGEABLE — There are exhibits for the African savannahs, a petting zoo, the insectarium, birds aplenty and so many more! And yet, the size of the zoo is manageable for a day visit. I have gone with pre-schoolers and have to say, it was just right. We didn’t see & do absolutely everything, but they never knew it and loved every minute. The same went for a college visit with my nep hew. The diversity of the zoo and size means you can take in a lot and leave feeling like you saw it. I’ve been to a few zoos where it was just too hard to get through the place in a day’s visit. MORE — There are lots more reasons to love the St. Louis Zoo…. the train to ride around a bit, the fact that Marlin Perkins (who was a major influence on Gen Yers for his animal show on TV) was the director & is memorialized there, the carousel, penguins, etc! You may enjoy reading the previous posts I’ve written about the St. Louis Zoo or other posts in the St. Louis A to Z series. That looks like such a fun zoo. How great that it is free too. I will add it to my list if we ever get to St. Louis.